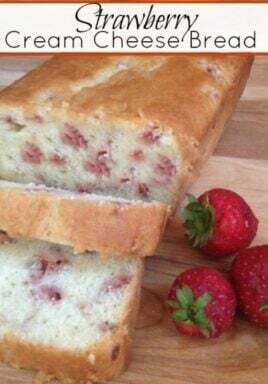 Strawberry Cream Cheese Bread is a simple, light and delectable bread to serve to friends and family, and sneak a piece or two for yourself! Do you remember when you were small and folks dropped over for coffee uninvited, but were always welcome? There was always some sort of cake or bread on hand that could be quickly pulled out and served for these impromptu occasions. Today, we never go anywhere without an invitation and we panic if someone pops over for fear they may find a layer of dust in our home. 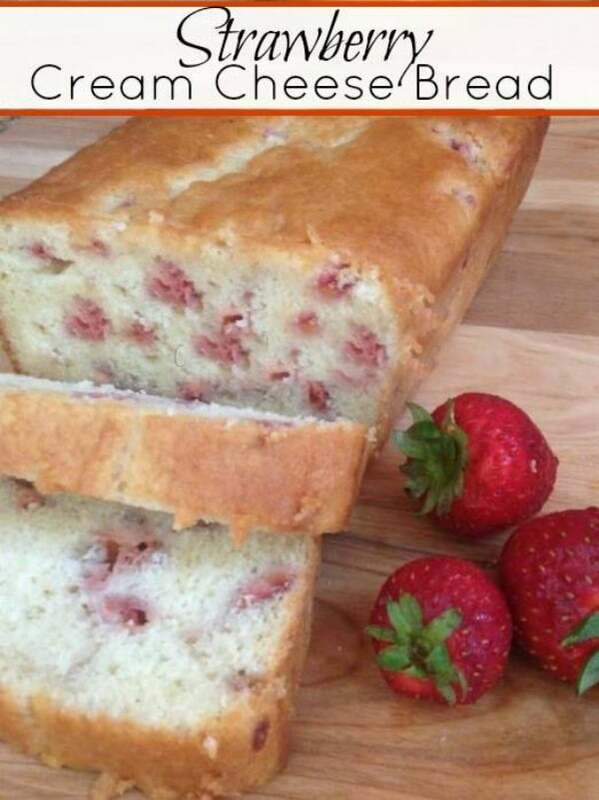 I think this is one of the reasons I love this Strawberry Cream Cheese Bread Recipe. It reminds me of a simpler time when we did not sweat the small stuff, when we took time to visit and really get to know our neighbors. PIN this recipe to your BREADS BOARD to save it for later!! What is a quick bread? It is a bread that is leavened or rises without yeast. This recipe uses baking powder and eggs which act as the leavening agents. Quick breads are generally fail safe, easy and in a word – quick. This recipe contains so many wholesome ingredients! 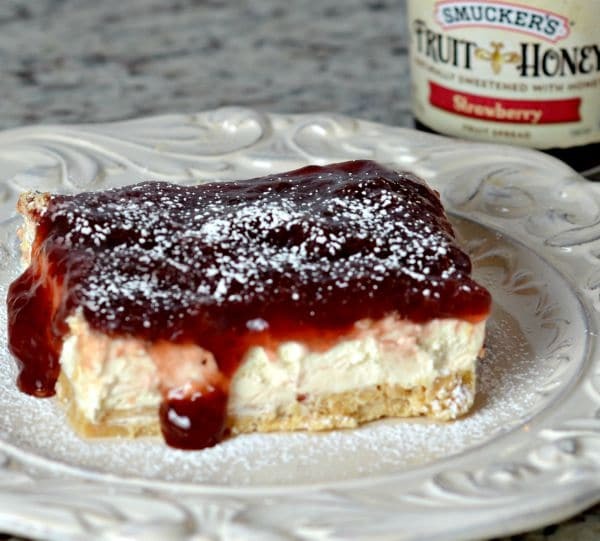 Fresh strawberries, buttermilk, butter and cream cheese are the main players, and none are low in fat! Sure, you can purchase low fat versions of all of these things but who are we kidding? This bread is meant as a decadent treat, delicious and moist. Who doesn’t need that once in awhile? 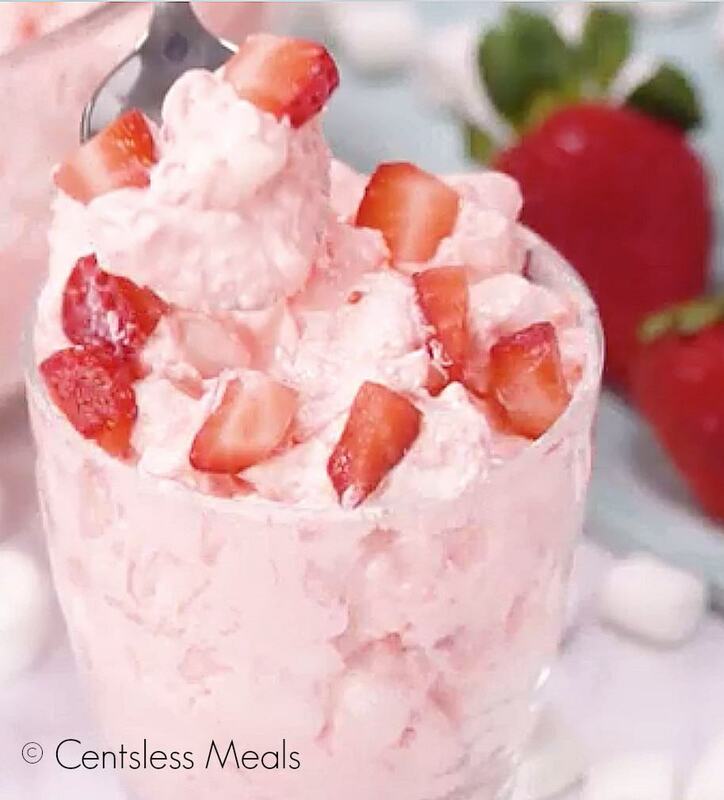 During the summer, when strawberries are at their peak is when I love to make this recipe. It is such a great way to enjoy those extra strawberries in your fridge. 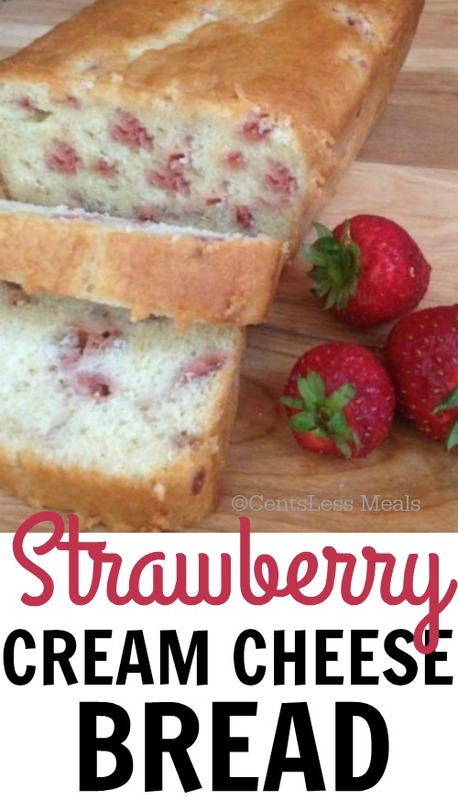 You can use frozen strawberries however your bread will take on a shade of pink because the color will run into the batter. Other fruits that are in season can be easily substituted into this recipe. Blueberries and rhubarb are two of my favorites, but please give the fruit of your heart a try! Or combine fruit flavors like strawberry banana or strawberry rhubarb. The sky’s the limit! 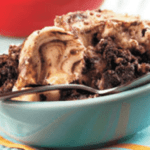 The best part about this recipe is that it freezes so well! You can slice it up and enjoy half, fresh out of the oven, then pop the remainder in the freezer to enjoy later. This cake is never dry because of the buttermilk along with the cream cheese, so perfect! Combine wet & dry just until mixed. Batter should be slightly lumpy. Do not overmix, this will cause a dense chewy bread. Use the correct sized pan or the cooking time will vary. Ovens can vary. Test for doneness using a toothpick about 15 minutes before the recipe says it should be done. We hold onto some recipes because they are easy, we keep some because they are tasty. Some remind us of our mother’s cooking, some remind us of a great dish we had in a restaurant with friends. This recipe is all of these memories wrapped into one. Strawberry Cream Cheese Bread is comfort food at its best. Keep some in your freezer or better yet, pop over to your neighbor’s house for coffee and bring it along to share! It will make their day! Can this also be used as muffins if so what would the heat and cook time be for Jumbo Muffins? could u use splenda in this recipe? For diabetics. Made this today for my family, and it was AWESOME! I made a strawberry compote to drizzle over each slice. They had nothing but rave reviews! Super easy and super good! This looks delish. Im thinking of making it for coffee hour at church. I made this tonight. Eating it at this very moment actually. I , however, used blackberries instead of strawberries since they were cheaper, and have vanilla sauce as a topping and it tastes amazing. 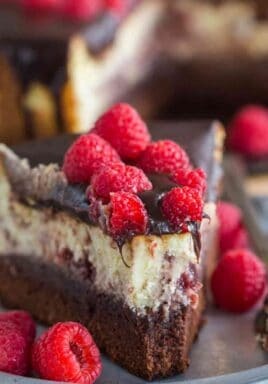 I can’t wait to make this again, but with raspberries. If you add frozen strawberries that are drained will it come out the same as adding fresh strawberries? I want to try this with raspberries, my favorite berry. 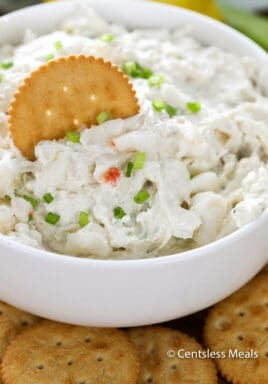 This sounds soooo yummy I must try it!!! When does the buttermilk go in?